Edit: All lots are taken. I will be doing another one of these as spring gets closer so be on the look out. 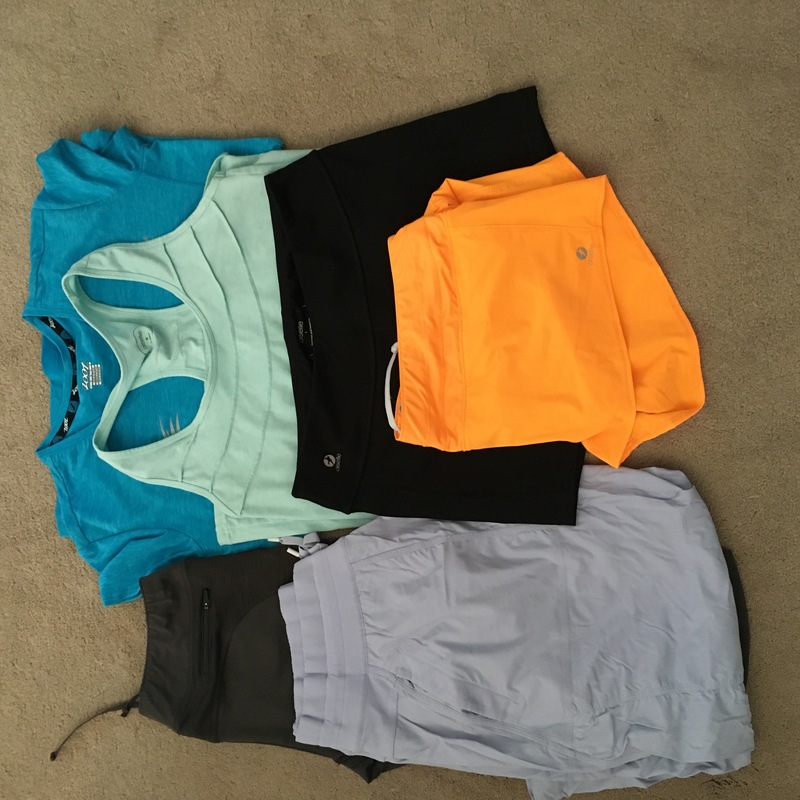 We’re working on tidying and simplifying (it helps to read the life-changing magic of tidying up by marie kondo) and so its time to give away some more gently used work out clothes. 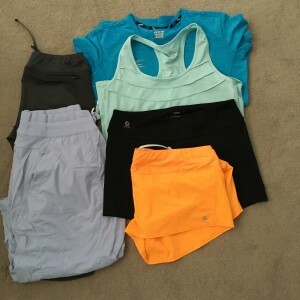 All of the items are size large, 10 or 12 depending on the brand. 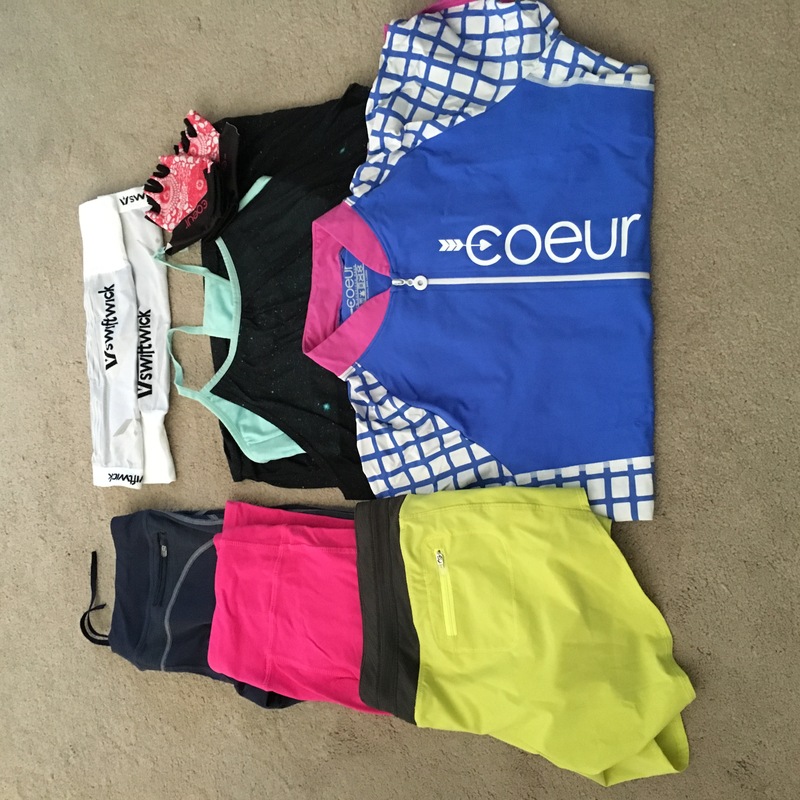 Brands include Oiselle, Coeur, Lululemon and Sweatty Betty. If you would like a lot, comment below with the lot number you would like (one per person) and your email address. I’ll email you back, get your address and pop it in the mail for you. First come first serve. If something doesn’t work for you feel free to pass it along. 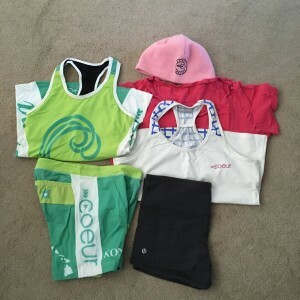 Lot 1 – Running capris, compression pants, run shorts, bike jersey, tank top, arm warmers and bike gloves. — TAKEN!!! 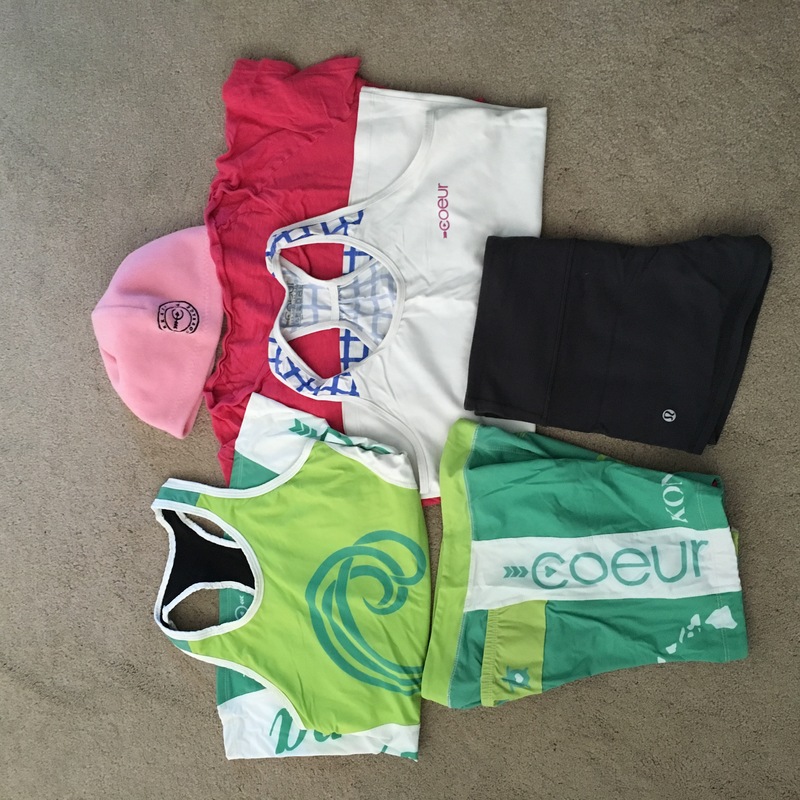 Lot 2 – Tri Kit (top and bottom), yoga shorts, run tank, t-shirt and winter beanie.— TAKEN!!! 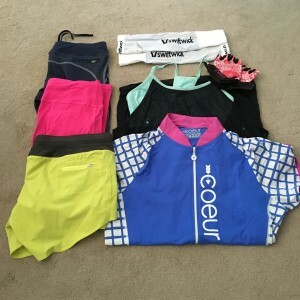 Lot 3 – Run capris, yoga pants, technical shirt, run tank, compression run shorts and run shorts.— TAKEN!!! 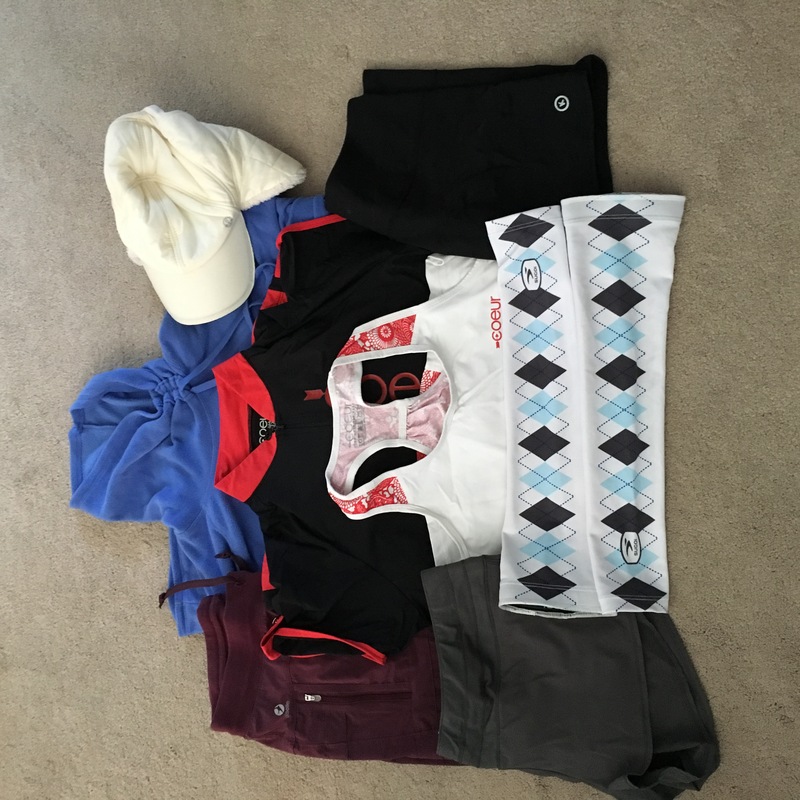 Lot 4 – Fleece pull over, bike jersey, run tank, yoga pants, run shorts, winter hat and arm warmers. — TAKEN!!! 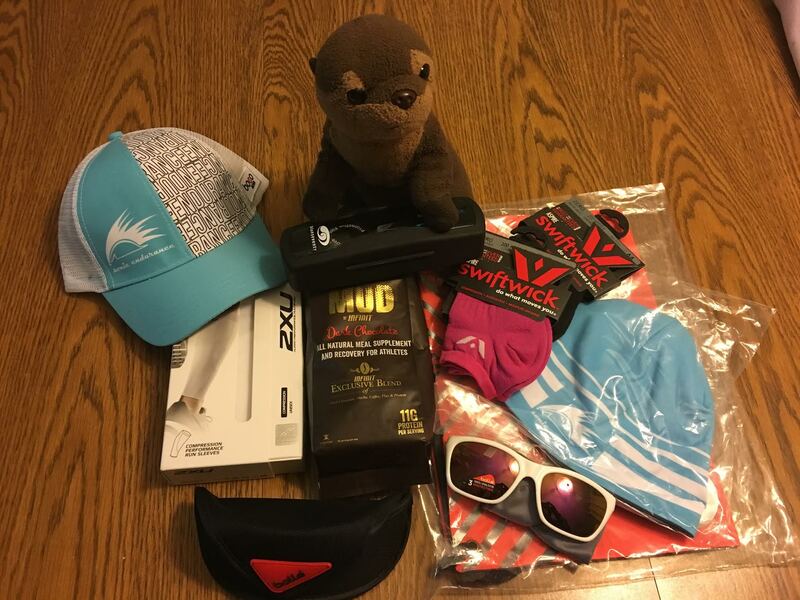 I’d really like Lot 2, since I’m technically now training for my first tri! Its yours! Shoot me an email at kelly@sonicendurance.com with your address. If lot 1 is still available I am interested. Thanks! Lot 1 is yours. 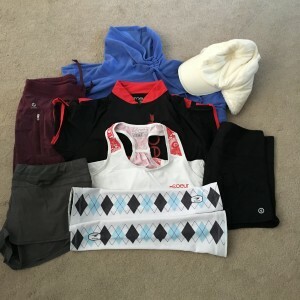 Shoot me an email at kelly@sonicendurance.com with your address. Can I please have lot 1? Please? Just missed it. Lots 3 and 4 are still available. Lot 4, please if still available. You just missed it. I’ll be doing another one of these shortly (we have so much stuff and are trying to clean out what will be the baby’s room). Great idea. Used to do this with the kids’ toy on Freecycle when they outgrew whatever phase they’d been in. 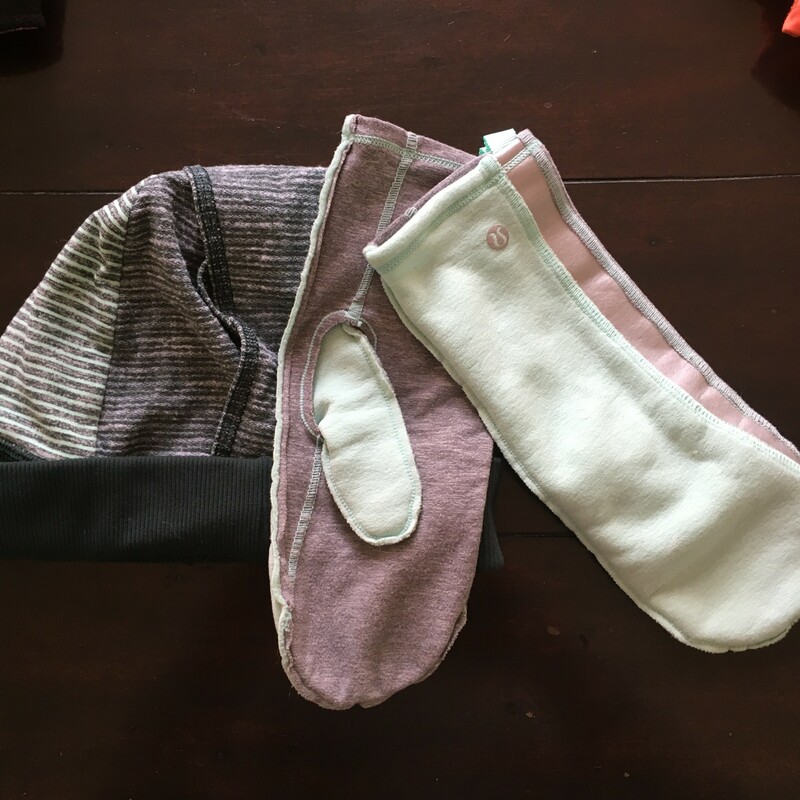 Enjoy the baby prep! 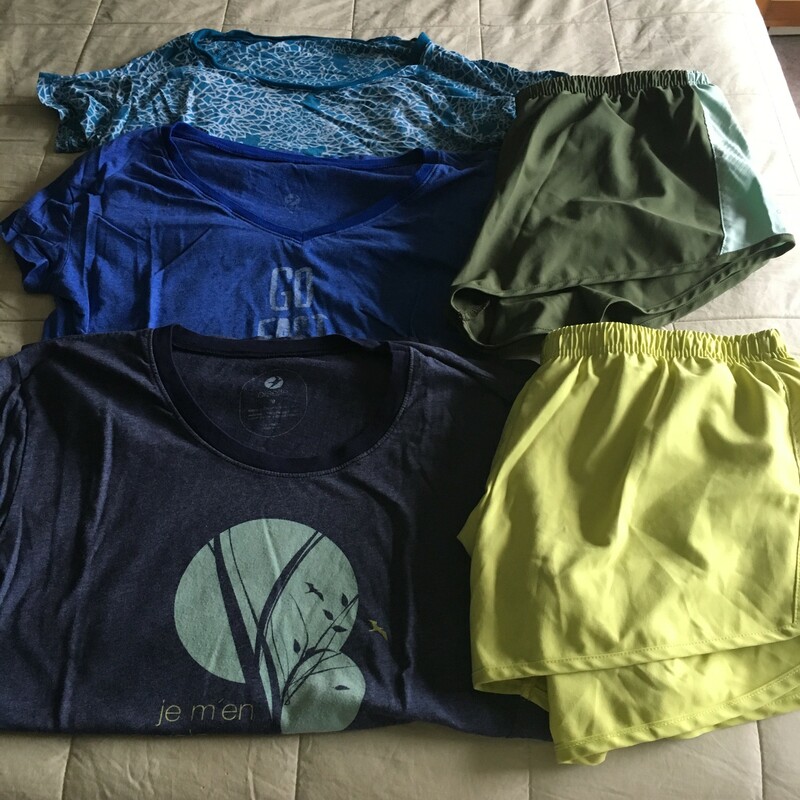 Lot 4 would be lovely for my winter runs! I read the same book, and have gotten rid of piles and piles. We are moving soon, so it has been very helpful and I can’t stop opening my drawers and closets and looking at them. I can’t wait to set up my new kitchen. I keep thinking of better ways to organize it! Best of luck with your preparations. Enjoy!